Decisions, decisions. Should I manuscript my message? Should I not manuscript my message? If I should, why? I say yes. 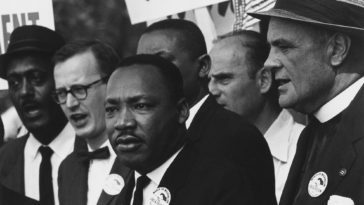 And the rest of this article is my attempt to tell you why manuscripting your sermon is a must. Early on I manuscripted every sermon I preached. Then I abandoned manuscripting and began to write my sermon in an extended outline format. For the past year, though, I have returned to manuscripting every sermon I preach and I am so glad I did. I owe this change to Dr. Mike Shannon, my preaching professor at Cincinnati Bible Seminary (CCU). He challenged us to do this and it has helped tremendously. When I prepared my sermons using an extended outline, I left gaps of thought. Even though I did this on purpose, I believe it’s vital to know the essence of what you really do want to say before you get up on stage in front of the congregation. 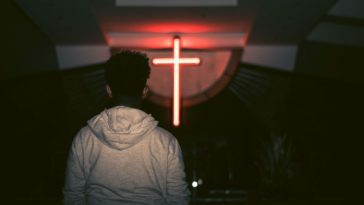 After all, when God’s word says things like, “Not many of you should become teachers, my brothers, for you know that we who teach will be judged with greater strictness” (James 3:1), I want to be sure that I am going to explain what the text actually says. This is also useful when you think about how you want to explain certain ideas. 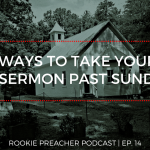 For me, I strive to make every sermon a sticky sermon, and a big part of this is creating a memorable sticky statement that embodies the main point of the message. When I manuscript my sermon it causes me to think through the specifics of transitioning into the sticky statement or main idea. I can set it up to have maximum impact in the moment if I do the hard work of writing it all out before I preach. 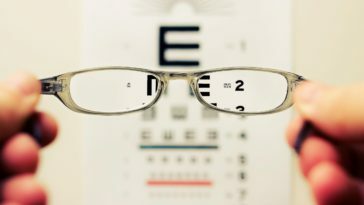 In our time of blogs, vlogs, live video broadcasts, online courses, self-published books, YouTube clips, and beyond, it’s vital that your sermon is easily re-tooled and re-utilized in other formats. 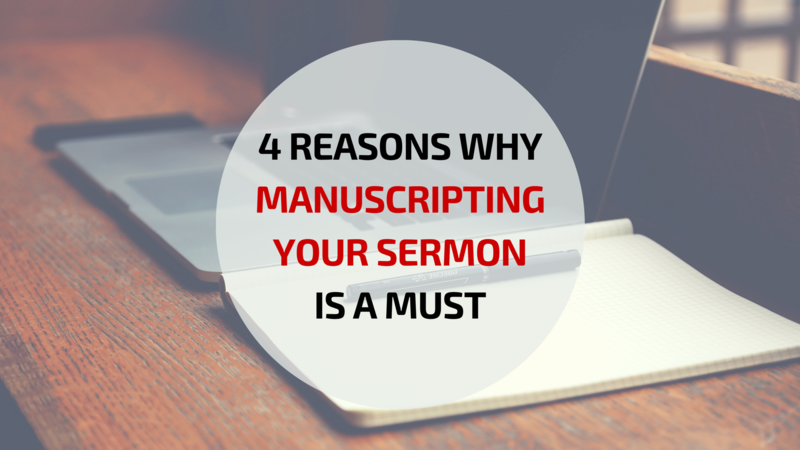 If you want to make the most of your sermon, manuscript your sermon. 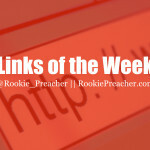 One of the extra things we do at The Crossing is something called, Sermon to Go where the message is summarized and sent out in a bite-sized PDF to the congregation. It’s kind of like a reader’s digest of the most recent sermon at the church. Here’s the most recent one. The reason I bring this up is that if our team only had my preaching notes (I don’t preach from the manuscript, by the way – more on that below), it would be difficult to come up with a good Sermon to Go. I love that at any time I can go back to any of my messages, see exactly what I wrote down to say, and then re-utilize the content for something else that will help people’s walk with God. Ever thought about self-publishing a book? 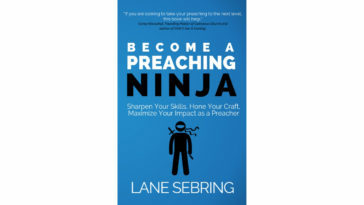 If you preach in sermon series’, you have book ideas with a lot of the work already done. You’ll want to get permission from your leadership (just in case), but when you have 5 weeks of manuscripts on the same big idea or book of the Bible, you’ve got a chunk of a book already done. You’ll need to edit it and re-work it for a book, but you’d have to edit for a book any way. I love to write. It’s why I have two blogs of my own and why I started our church’s blog. I also love preaching and teaching. One of the things I love about manuscripting my sermons is that it improves my craft as a writer. Writing something for it to be spoken is different than writing something for it to be read, but either way, you’ll improve in word crafting and will begin saying things that pack more punch. I truly believe this. When you have spent the time crafting the way in which you are going to say something, you’ll say it with more oomph behind it. If you’re married you know that the way in which you say something is just as, if not more, important than what you say. The same could be said for preaching. It’s important what you say, but the way you say it is important as well. Often times the emotion in you is what causes people to connect with you because they can hear the way in which you are saying something is coming from the heart (because it is). When a message pulls at your heart strings first, others will feel it when you preach it. 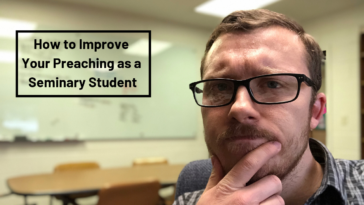 Should You Preach From Your Manuscript? I don’t. I am working toward minimizing the notes I use when preaching. I have a system for taking the message down from a manuscript to my preaching notes. It’s tedious, but it helps me a lot. 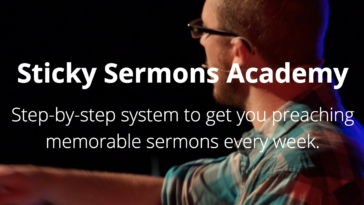 #028: 7 Reasons Why I Write Sermon Manuscripts – by H.B. Charles Jr.